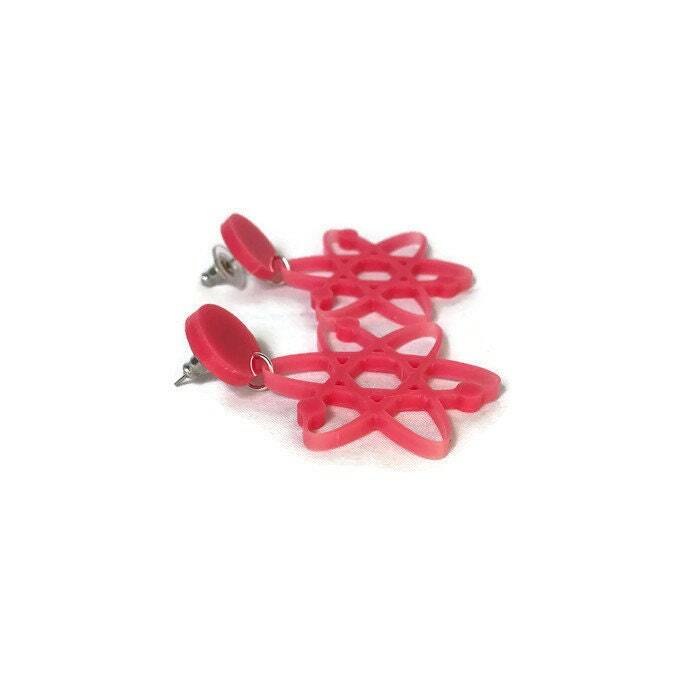 These retro inspired pink atom dangle earrings are made of lightweight laser cut acrylic. 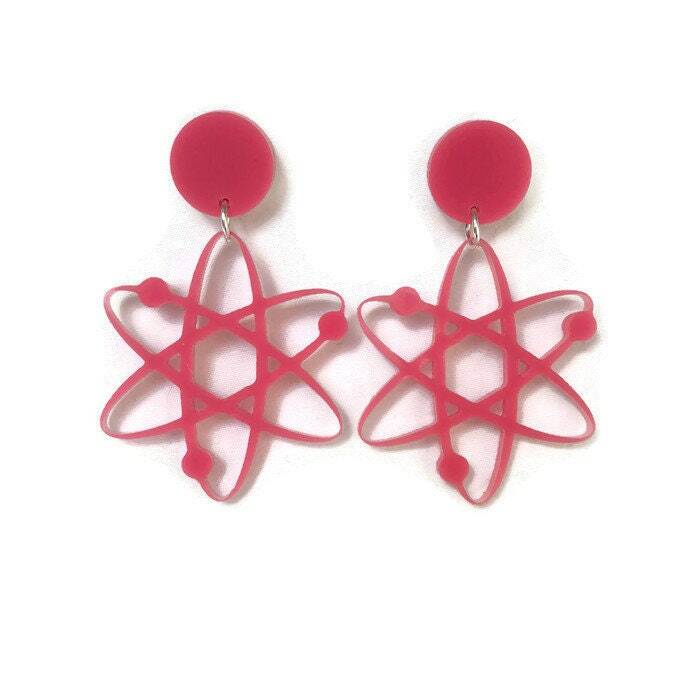 Perfect for lovers of science, the atomic 50's, or both! These earrings are nickel free for sensitive ears and come with comfort clutch earring backs to keep the earrings snug to your ear. 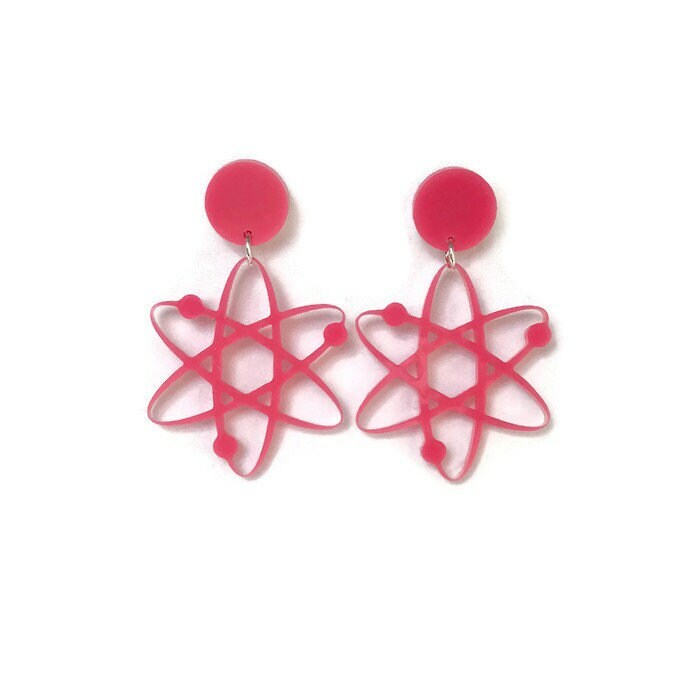 Atom charm measures 42 mm in length and 38 mm in width and hangs from a pink acrylic circle measuring 16 mm in diameter.